Do you ever get the days when you get up in the morning and think to yourself what’s it all about? What is your life about? Where is it all going? Why do certain things happen or not happen? Is it worth it? I had one of those mornings when the thought of William Shakespeare was ringing in my ears, “to be or not to be” it certainly was the question this morning! All the whys and what ifs were running through my mind; thinking about the present and the future! I don’t know where it came from; I think I was just feeling a little melancholy! So anyway… I wanted to talk about obesity in children today and I was thinking how to get my point across and it is a discussion that could go on forever! For those of you who have young children, your weight loss, your reeducation with food won’t just benefit you but will also benefit your children. Getting children to eat healthy foods may be a difficult task at times for parents, but it is necessary for proper growth and development throughout childhood. 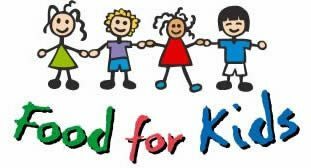 We can offer a wide variety of fruits, vegetables, whole grains and healthy proteins to make sure our kids get the nutrients they need. The benefits of healthy eating for children lasts a lifetime, because the effects on childhood health often translate to how healthy the child will be later in life. Would you let your young children eat foods that you know aren’t good for them? No, you want to make sure your kids are getting the best food and given the best opportunity to eat well and be healthy but as they grow up and they see you eating all the wrong foods, the chances are they will start to eat what you eat. Children who eat nutritious, appropriate food instead of junk food are more likely to maintain a healthy weight than kids who consume a diet full of empty calories. Childhood obesity is linked to a range of diseases, both during childhood and later in life. These include diabetes, high cholesterol and high blood pressure. Social discrimination (Bullying) and the poor self esteem that often follows are other risks of childhood obesity that can be prevented by a healthy diet used in conjunction with regular exercise. By you changing your lifestyle, your habits, reeducating yourself about food WILL be passed on to your children. They will see that eating healthily is good and that exercise is just part of your daily routine and not something that they HAVE to do! In order to tackle the obesity problem, a rough plan is being worked out in collaboration between specialists, the HSE and GPs. Their main aim is to make sure that starting from primary school; this obesity problem is kept at bay, which is why they are trying to make it necessary to weigh a child when he or she starts primary school. Dr. Roche, consultant endocrinologist who specialises in diabetes and other disorders, gave some insights on the plan that is being worked out at the annual meeting of the Irish Medical Organization (IMO). Before starting at the school, a nurse would check the weight of a child. If the weight is found to be a matter of concern, then that child would be referred to a family GP or a specialist for some health related issue. In the present scenario, there is no mechanism that is in place to keep checks and balances and necessary actions must be taken to make sure that nurses are able to cope up with this increase workload. Even if the nurses are able to refer the cases to specialists, there has to be proper dieticians who can guide the parents of the child properly. In the absence of such dieticians at schools, it becomes impossible to tackle overload of referrals. By targeting small children, they hope that they would start a trend in which the obesity among children is curtailed so that more and more cases of obese kids don’t come up. This plan has been worked out in the wake of recent revelations which showed staggering statistics of obesity in the country. In a response to the country’s growing childhood obesity epidemic, the HSE has launched a new initiative to monitor weight in young schoolchildren and take action on their weight problems. The HSE, in collaboration with the Irish College of General Practitioners (ICGP), is starting a growth monitoring project as part of the school healthcheck among junior and senior infants in four pilot sites around the country. Children of consenting parents will have their height, weight and growth plotted, and all parents will get their child’s results along with the regular results of sight and hearing tests in a sealed envelope to be taken home by the child. The envelope will include a self-help booklet for all parents. Children deemed to be overweight or obese will receive ‘Your Child’s Weight- a Guide to Preventing Childhood Obesity’, while normal weight or underweight children will receive a guide on healthy eating and exercise. As part of the project, parents of overweight children will be followed up for further health promotion advice, referred to online self-help resources and/or community cases services or prevention programmes. Obese children and their parents will be offered a year-long community-based lifestyle intervention programme delivered by a specialist healthcare team including dietitians, psychologists and doctors. I have to say that the shops certainly don’t make it easy to eat healthily – the first thing you see when you walk into almost every shop or shopping centre is junk food for sale, Buy 1 get 1 Free, half price chocolate and other various deals. It seems that the poorer the economy gets the cheaper chocolate gets! Not everyone has money to pay for all the healthy food – it’s so much easier to buy so called junk foods for a third of the price of healthy food. Even when you look at the magazines that come through the post, most of the special food offers are foods that aren’t too healthy but they know people don’t have the money to buy the “good food” so we have to buy the “bad food”! What I have been trying to do this year is to shop locally. I try and buy my meats etc from my local butcher and my fruit and veg from my local fruit and veg shop. I am human so yes I still do by my treats, but I try to keep it on a buy-as-I-eat basis (i.e. not stocking up!) This means that if I do fancy something sweet to eat there is only the 1 bar and not 10 to tempt me! And for this kids, this means there is no longer a bottomless biscuit barrel – instead a variety of fruity snacks and the occasional treat which we will walk down to the shops to buy! 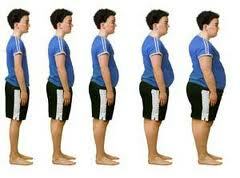 Children who are obese between six months and five years of age have a 25% chance of becoming obese adults. If they are obese when they are over six this increases to 50% and obese adolescents are 80% more likely to become obese adults. Obesity accounts for 5% of heart attacks and stroke, 10% of osteoarthritis, 20% of hypertension, 30% of cancers and 80% of type 2 diabetes. 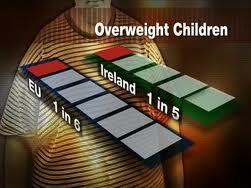 The scariest fact for me is that over one in four (26%) Irish 9-year olds are either overweight or obese. These figures are the type of statistics that we need to be made aware of. Updated 20th June 2013: The World Health Organisation have today urged every country in the world to have tougher food marketing rules to try and curb the increasingly out of control obesity rates. “Overweight is one of the biggest public health challenges of the 21st century: all countries are affected to varying extents”, they said. Latest date from the WHO’s Childhood Obesity Surveillance Initiative show that, on average, one child in every three aged 6 to 9 years is overweight or obese. 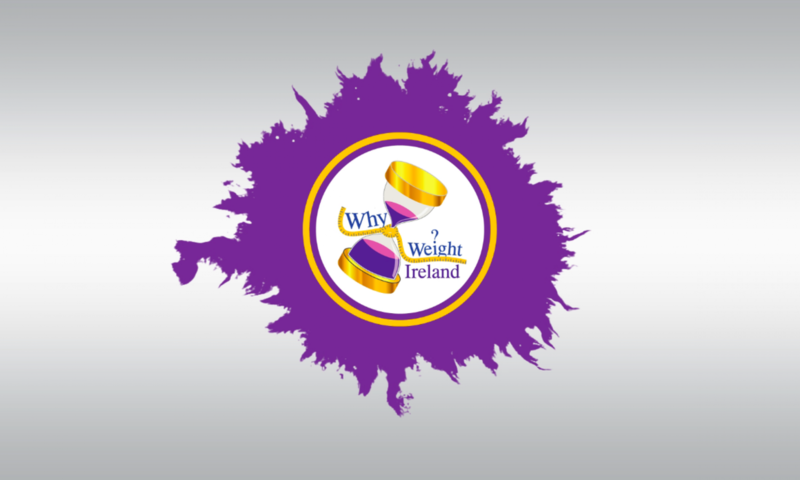 I know from my own experience and you can see on the Why Weight Ireland gallery page (4th photo) that it was not only me that was way over weight but my first-born was over weight too. The health visitor had advised me at one of his check ups that he was on the top end of the scale for weight for his age range and over weight, at the time I have to be honest, I felt offended and upset – my baby was not overweight!!! It wasn’t until I looked back on the photo’s of him that I realise he had a little bit more than puppy fat on him, but I was just too blind to see it. It wasn’t until I changed my eating habits, I reeducated myself about food and I lost my weight that William also started to trim back, simply by eating a more varied and healthy diet. When I was having a biscuit I would have just handed him one too and then he’d want a second so I would just hand him another! I didn’t think anything of it, obviously I knew biscuits weren’t “healthy” but I didn’t see a few biscuits as a problem, if I’m honest though could I tell you how many I had sometimes given him?! Probably not…….sometimes its just a reflex action, and when the kids are screaming and crying at you for a bikkie, it seems like the easy option – Shocking now I’m thinking about it. I’m happy to say that he is now at an ideal weight for his height and age, eating healthily and would be just as happy with some grapes or cut up apple than a biscuit and also enjoys exercising. :0) Does he still have treats?! Of course – he is a 4 year old boy! But now it is in moderation instead of a morning, noon and night ritual! Thank you for reading today’s blog. Obesity in children is a subject that could be talked about for hours and is close to my heart so I hope I got some good points across.